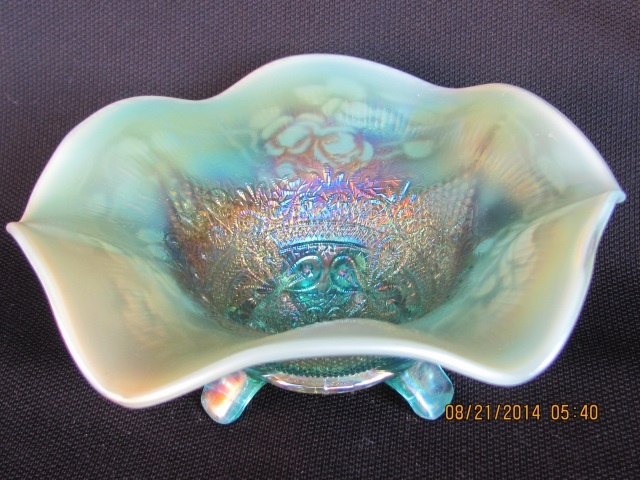 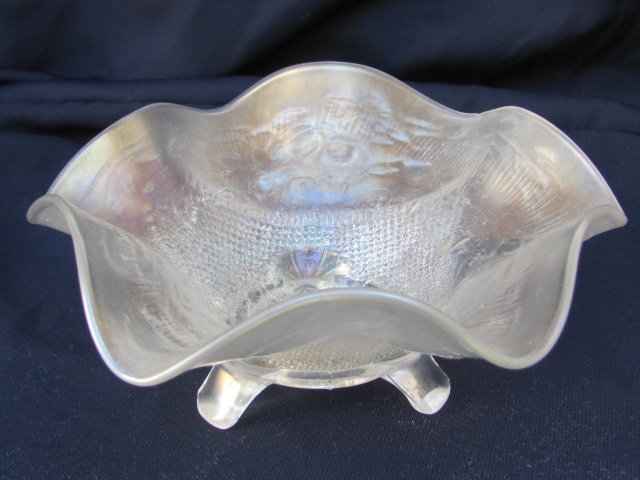 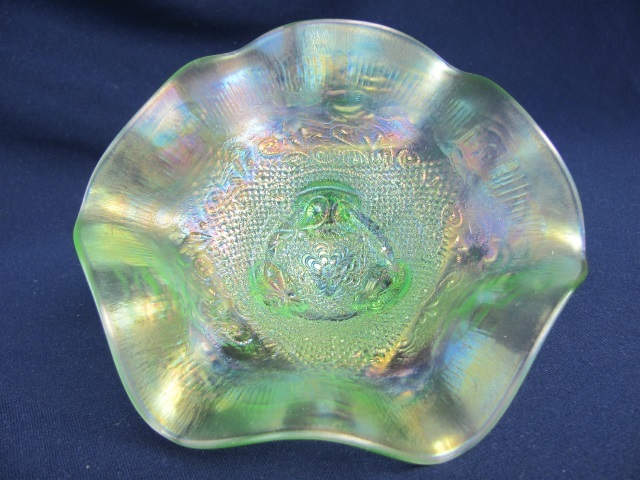 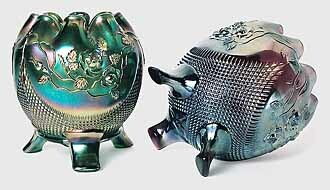 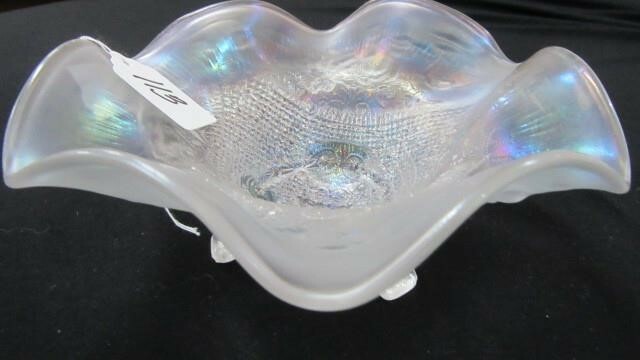 Most Fine Cut and Roses rosebowls and candy dishes were made from the same mold. 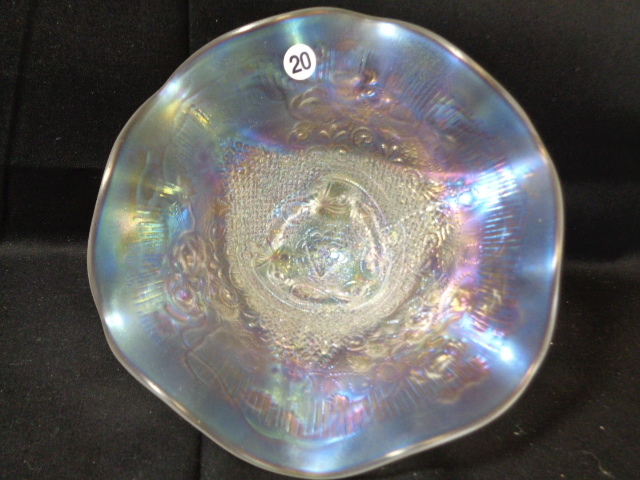 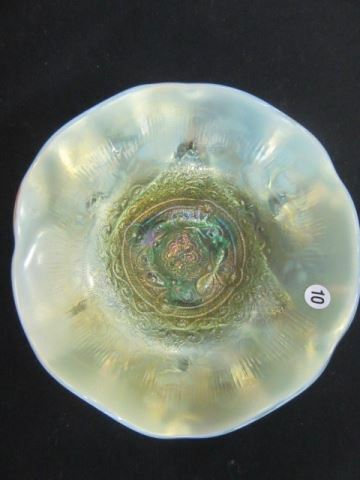 There was another mold, though, that did not have the usual circular ring on the bottom of the bowl (right example in first photo), referred to as the variant. 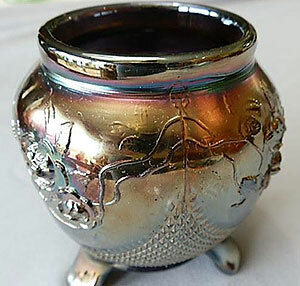 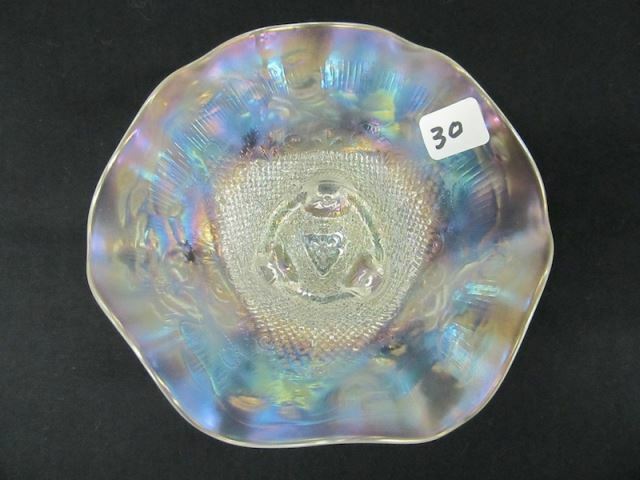 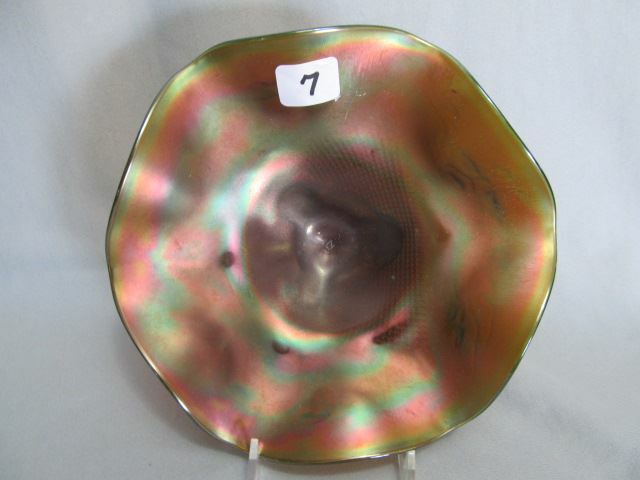 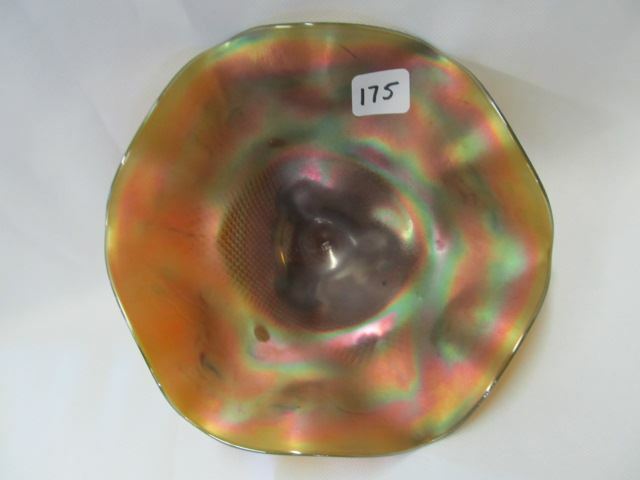 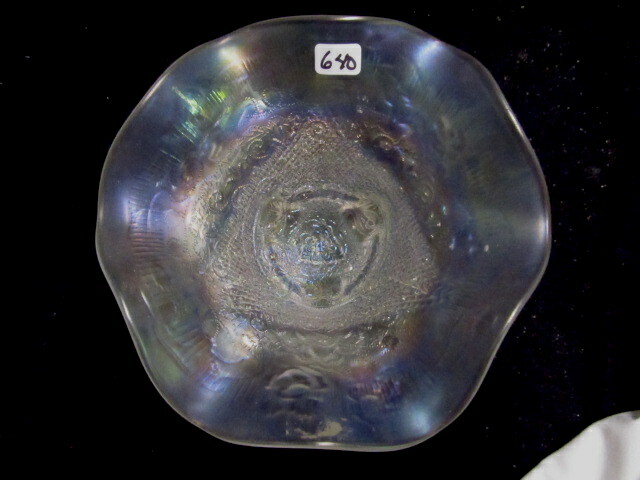 There are also some rare examples that have a smooth, round top. 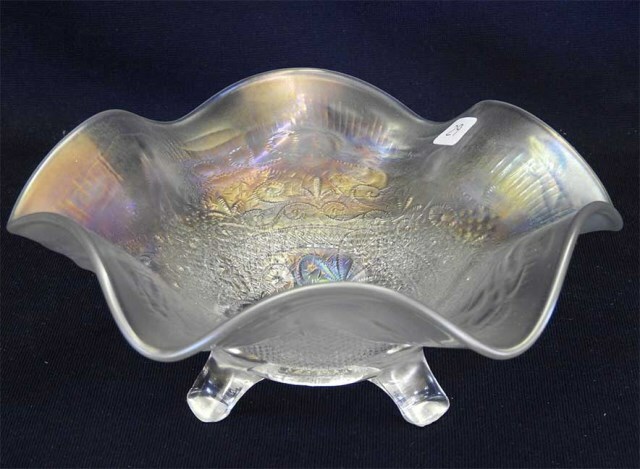 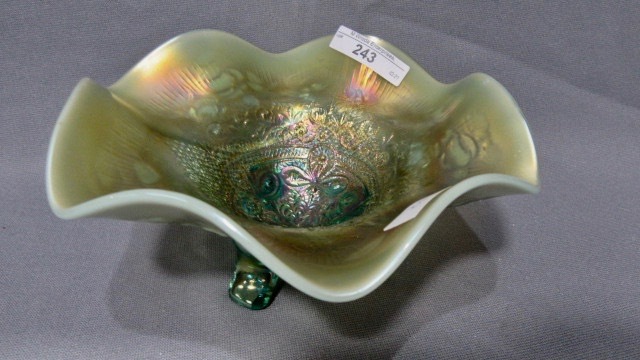 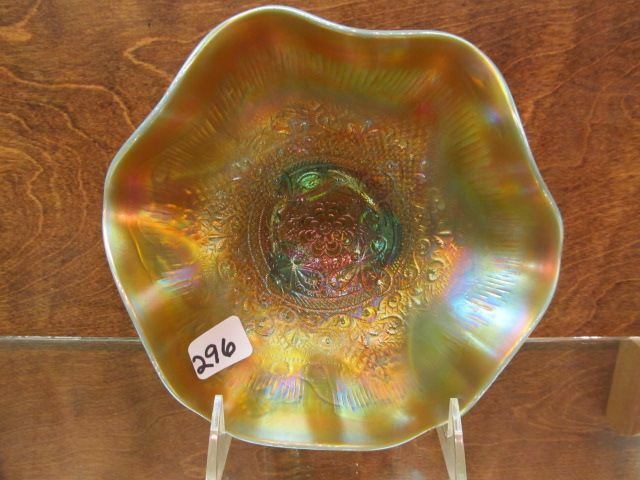 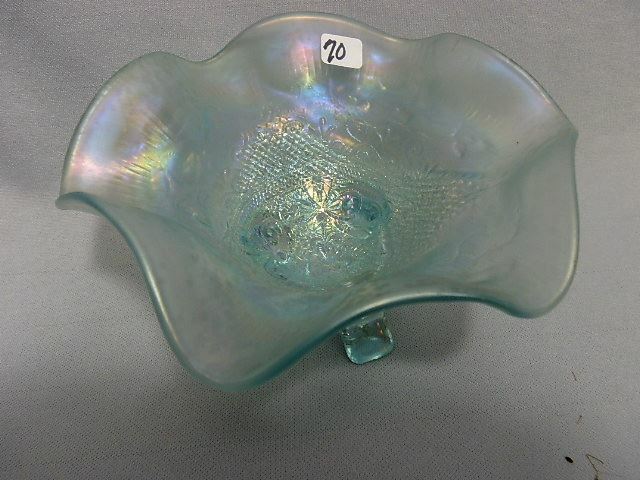 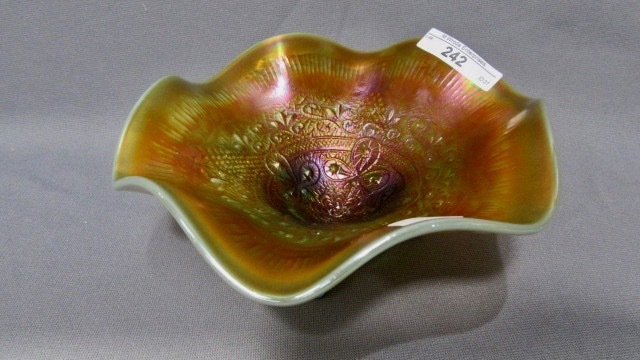 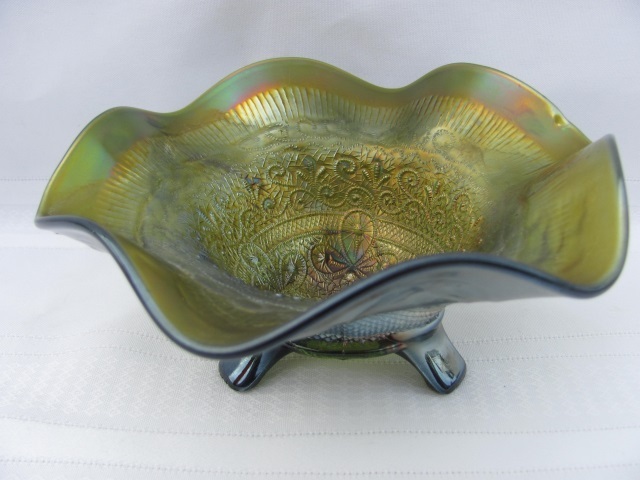 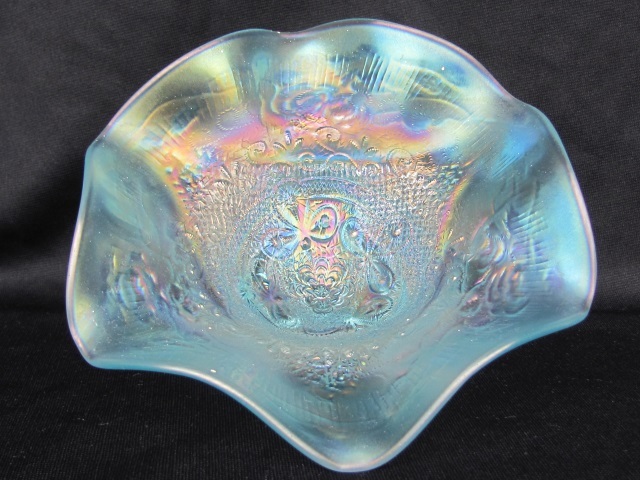 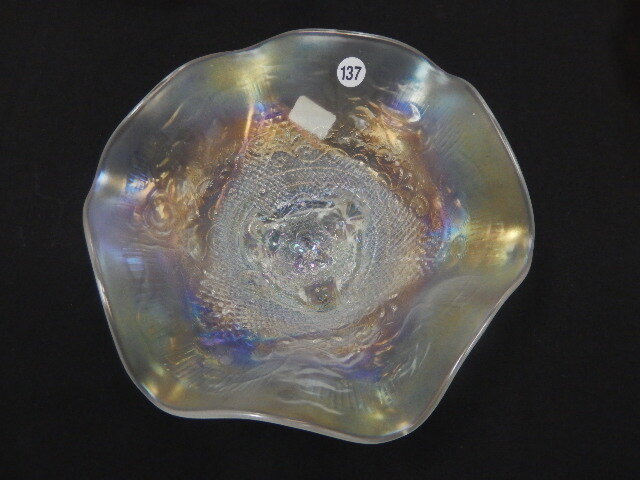 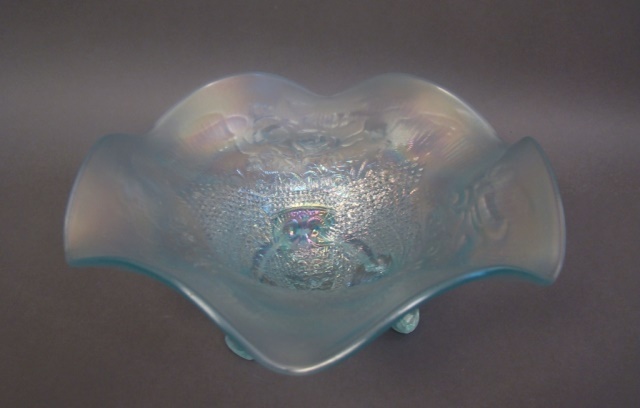 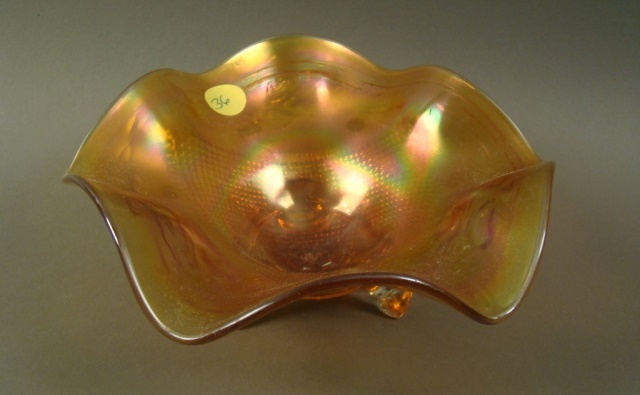 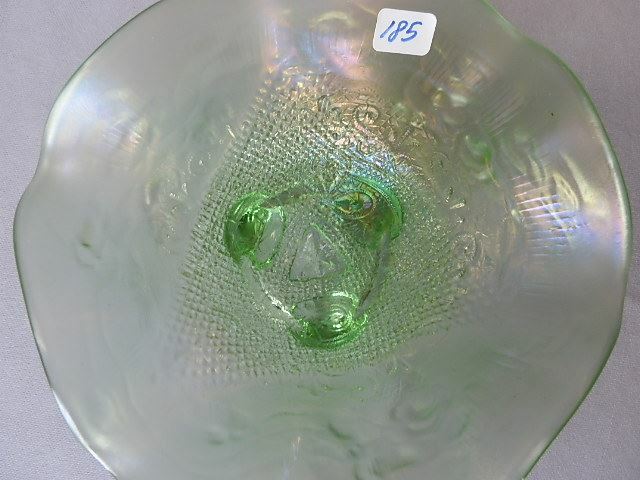 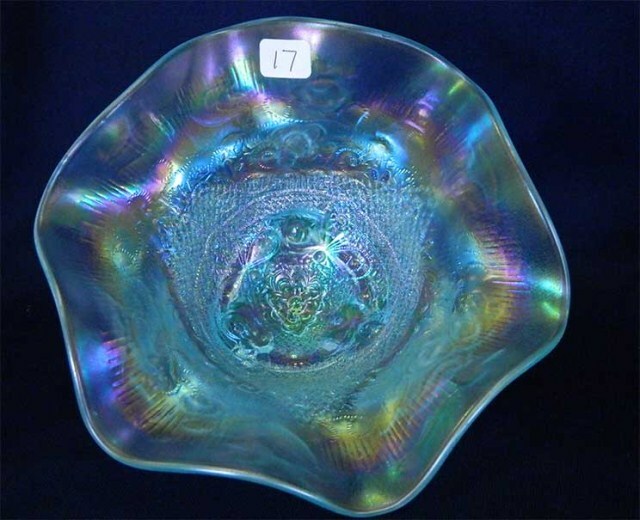 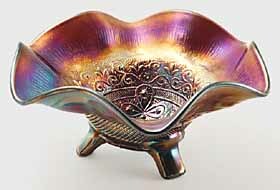 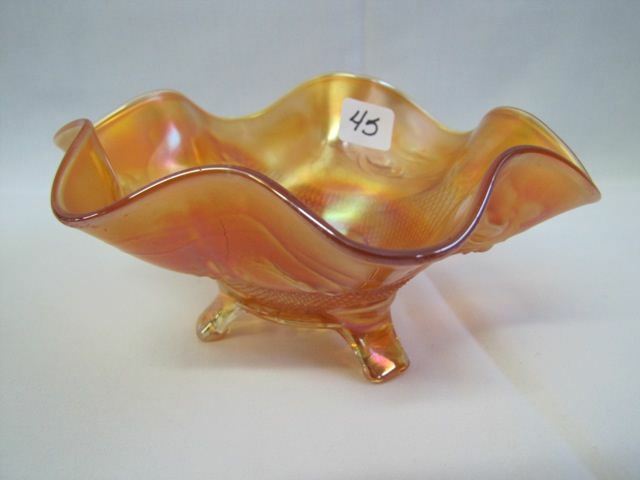 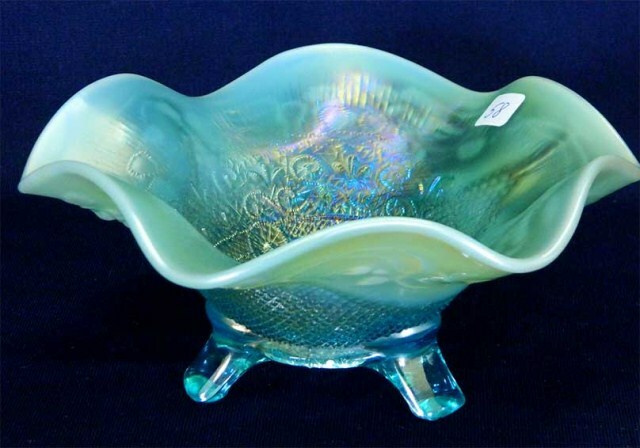 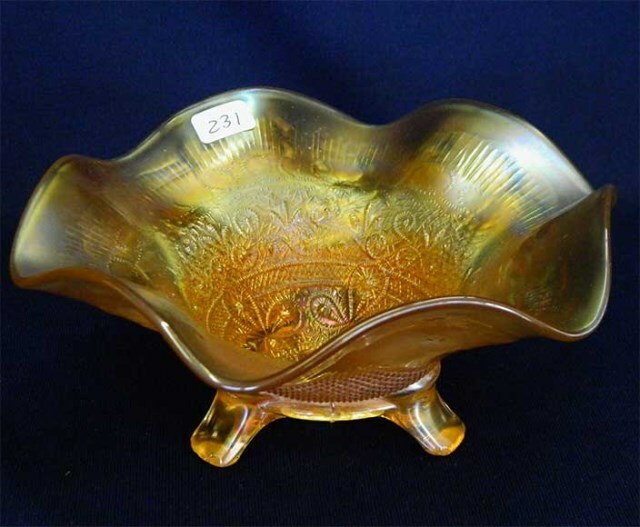 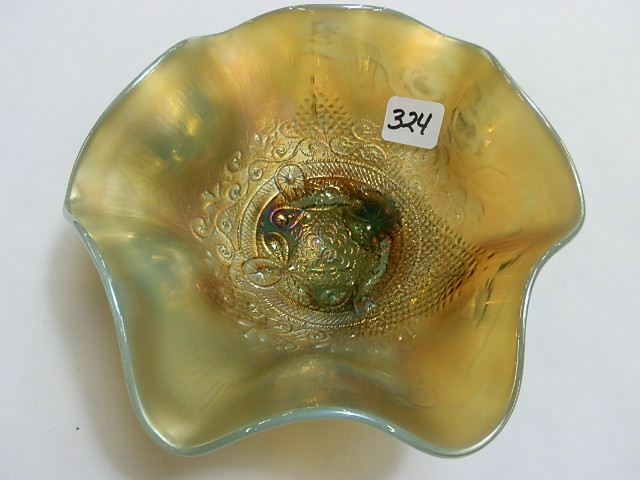 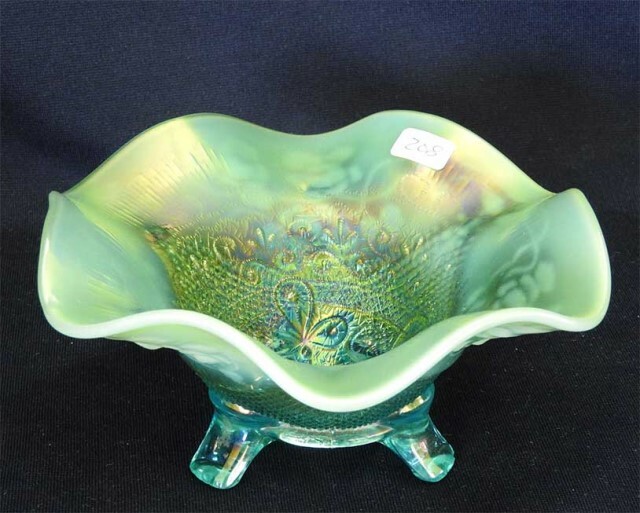 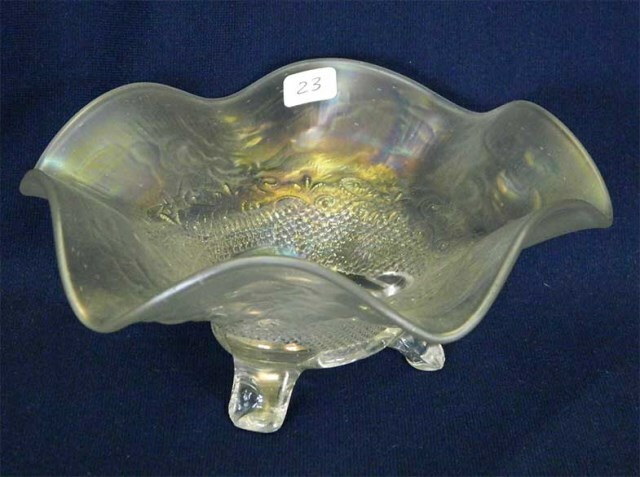 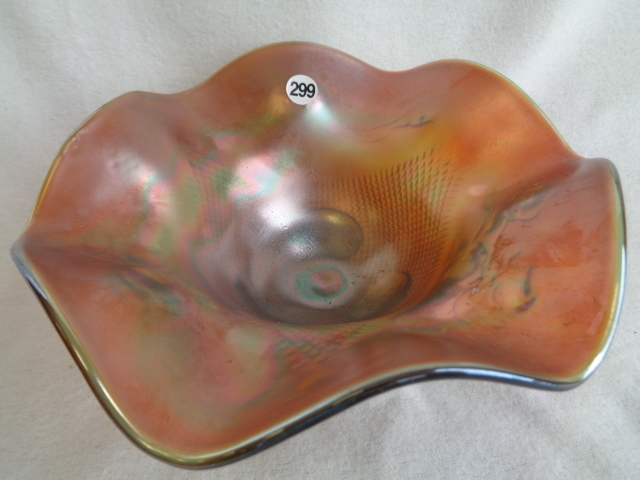 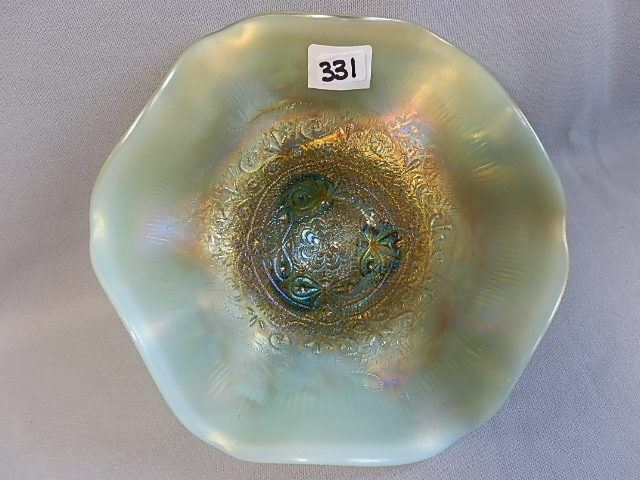 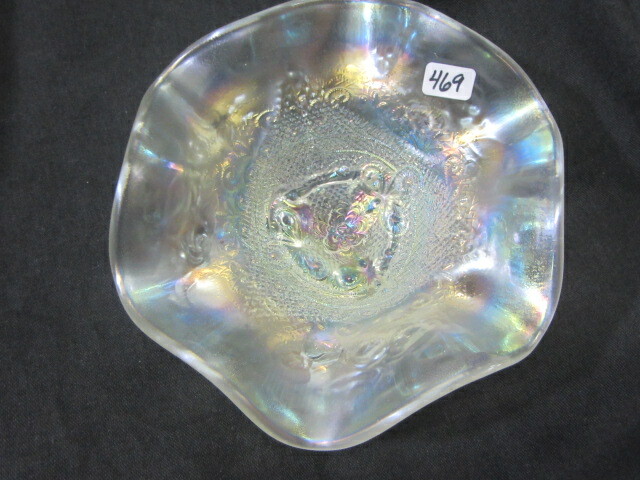 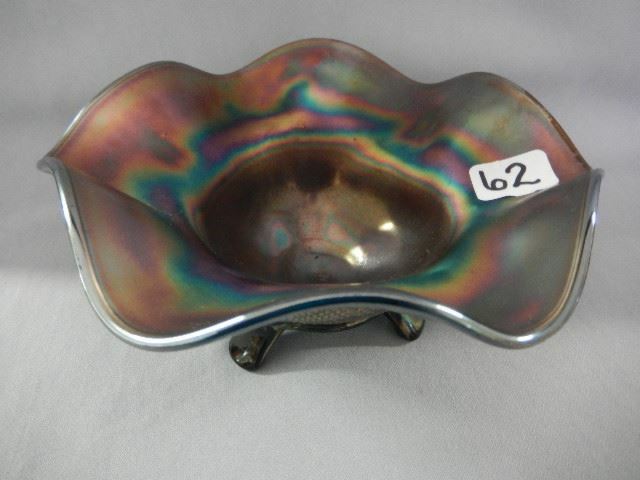 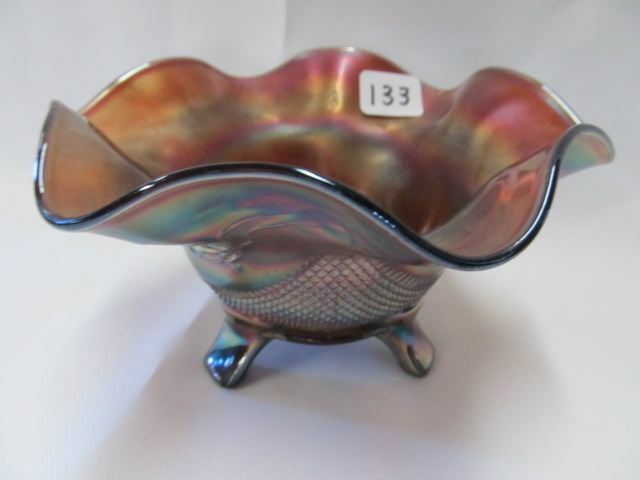 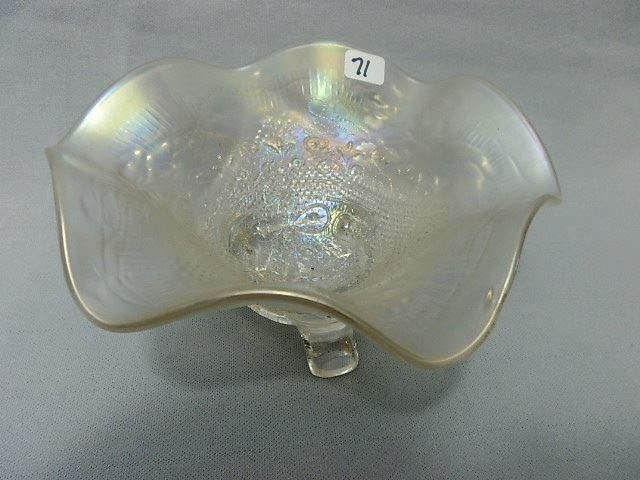 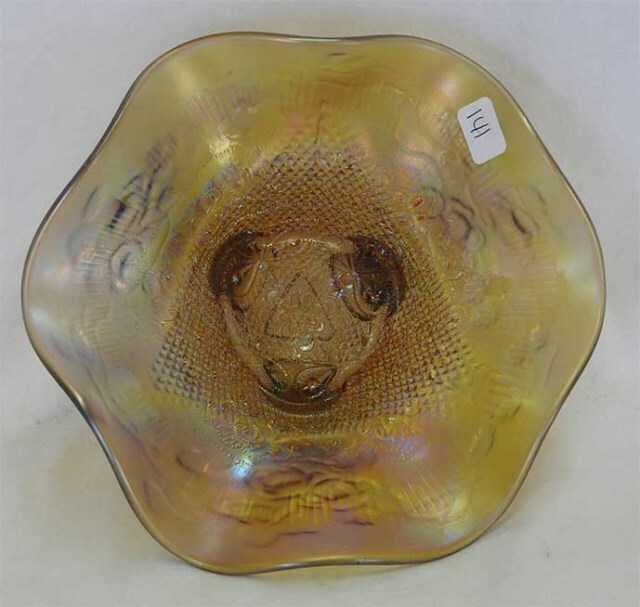 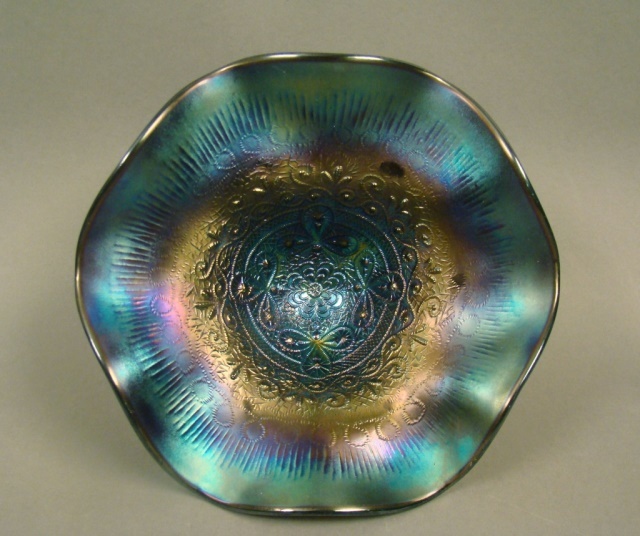 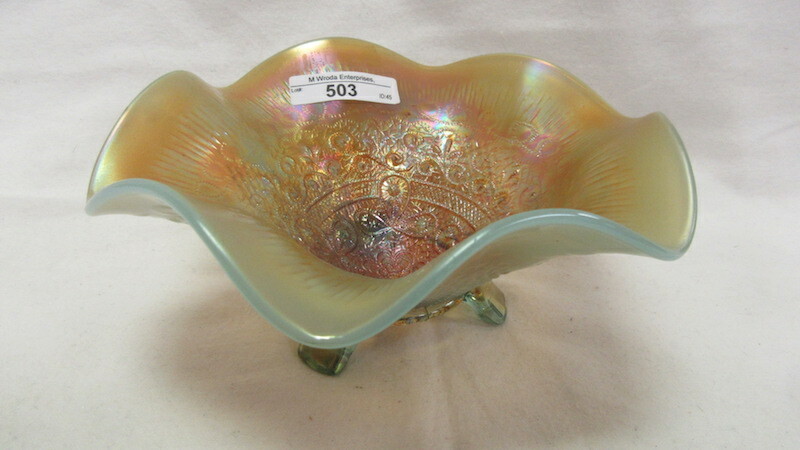 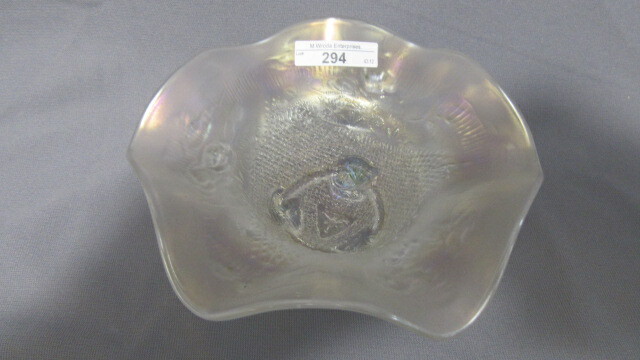 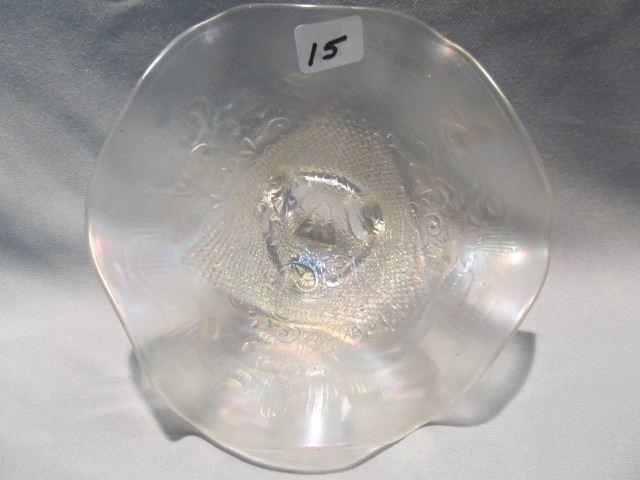 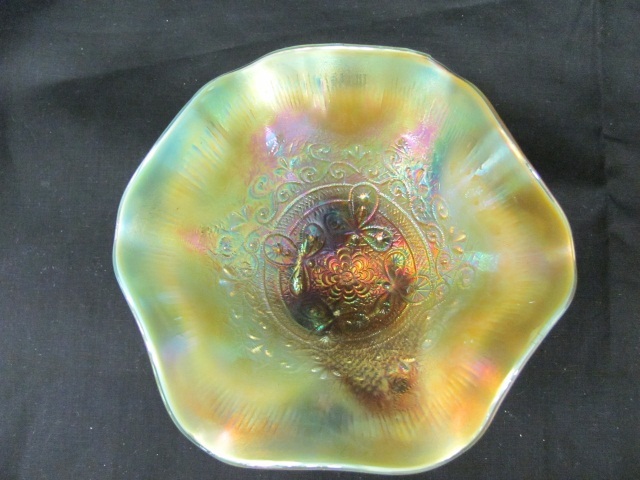 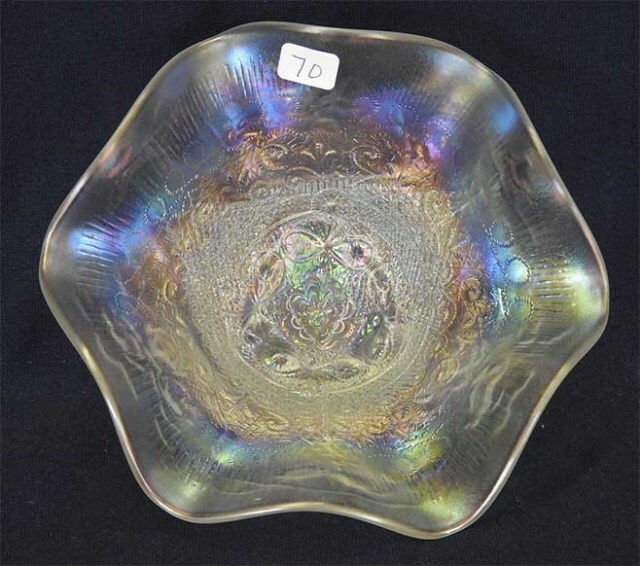 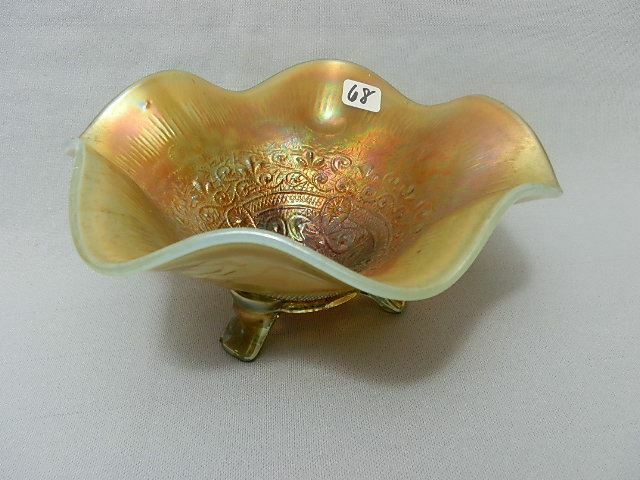 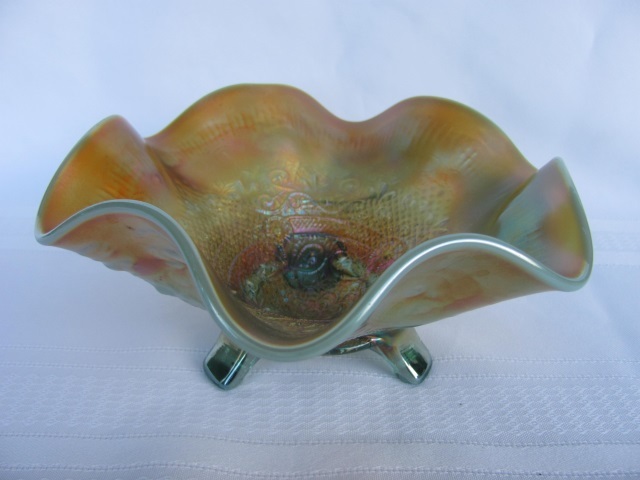 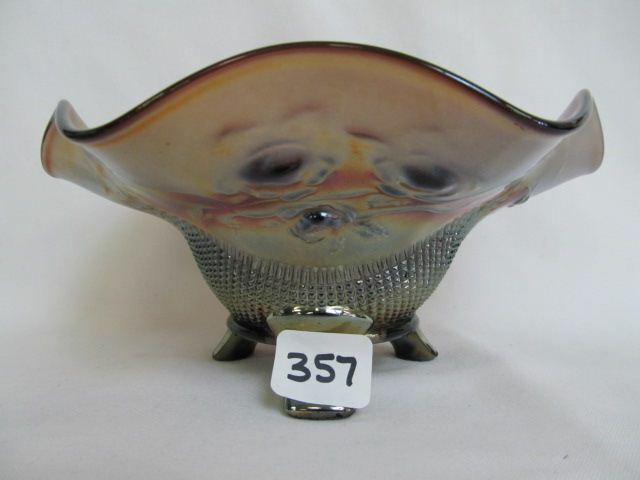 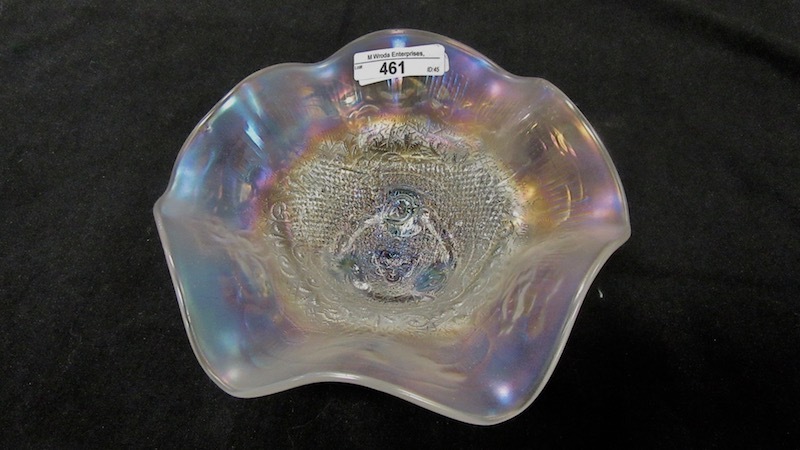 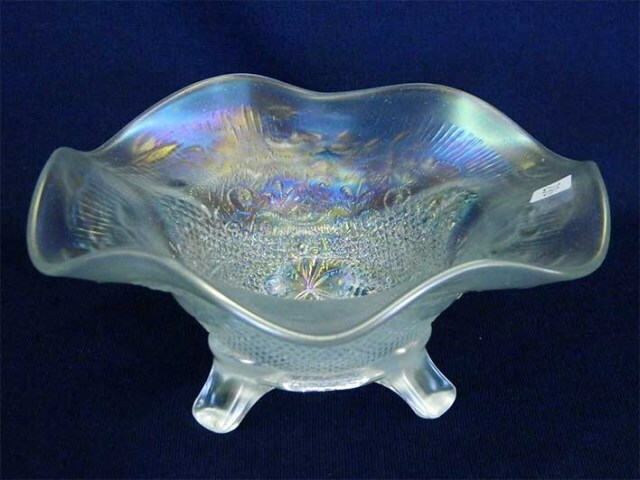 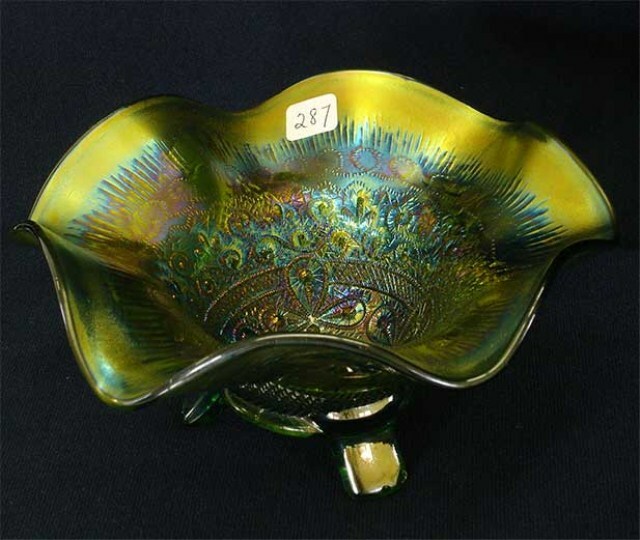 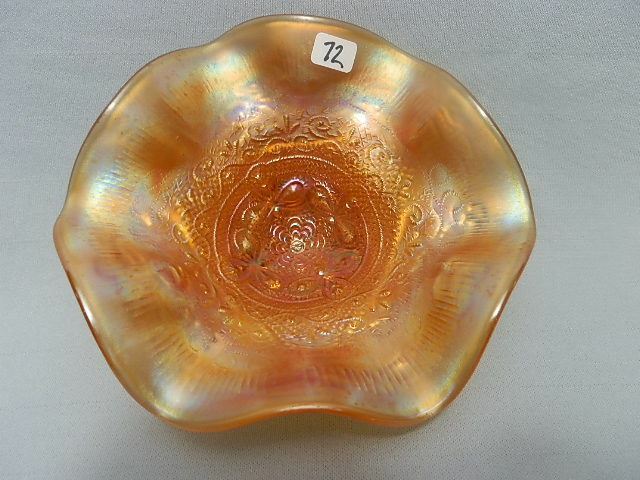 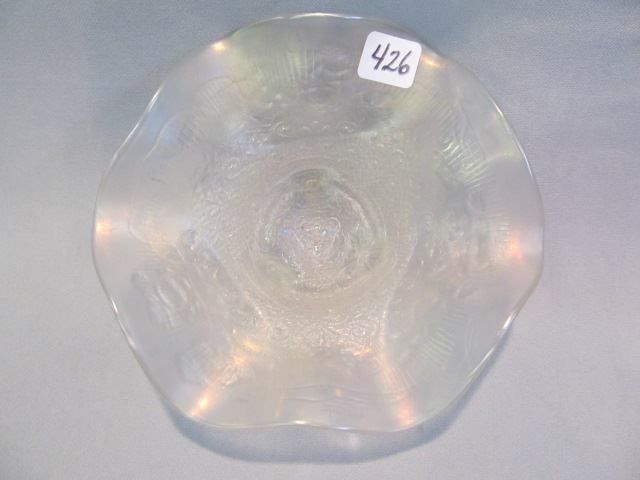 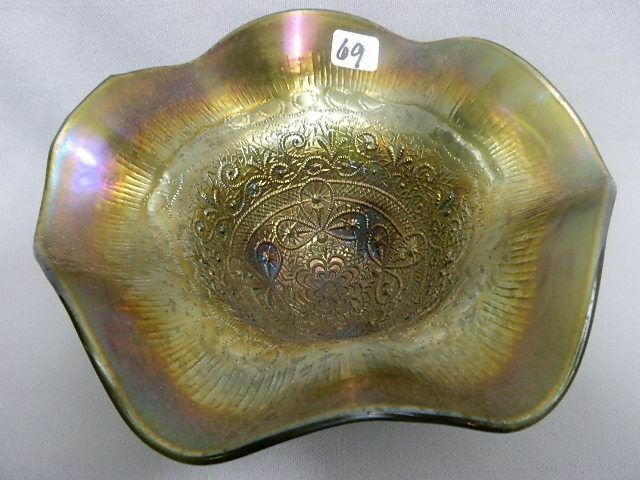 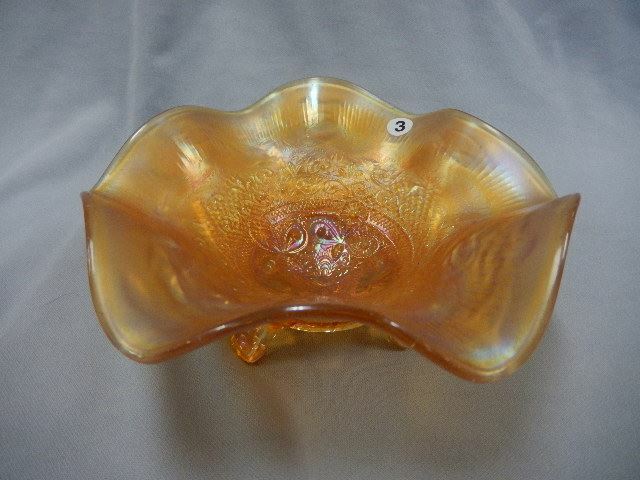 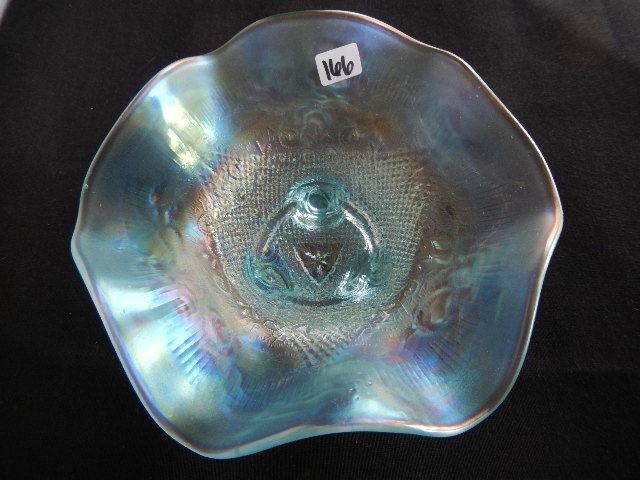 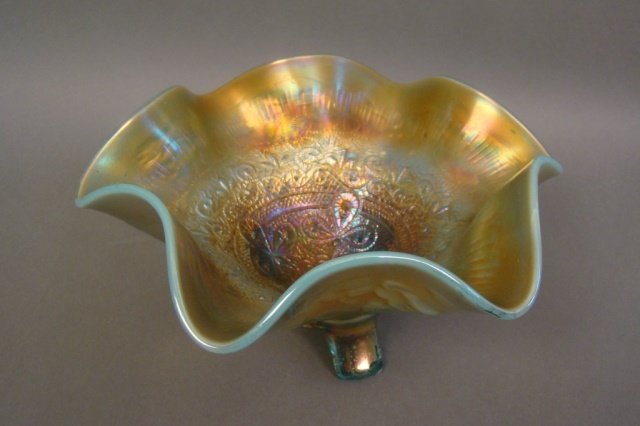 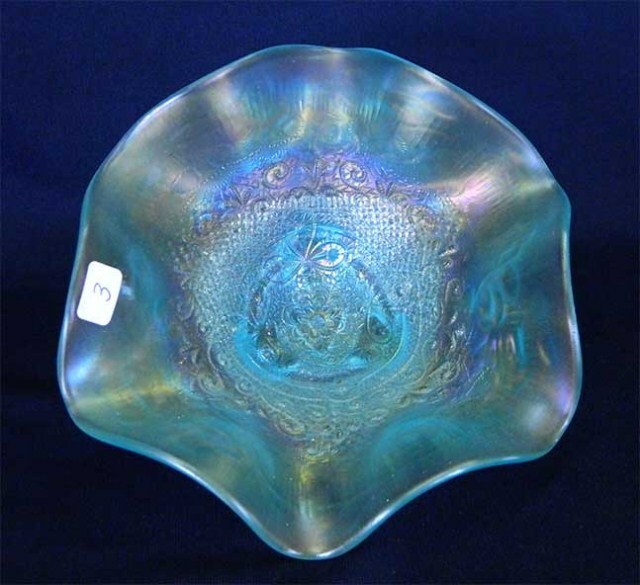 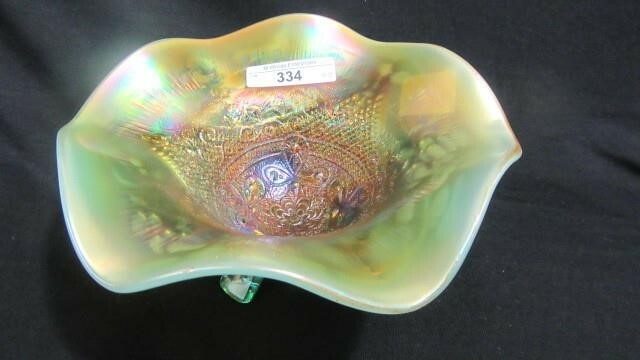 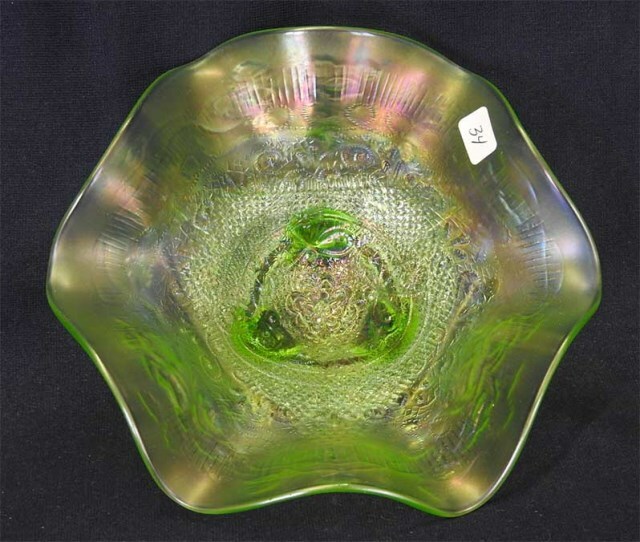 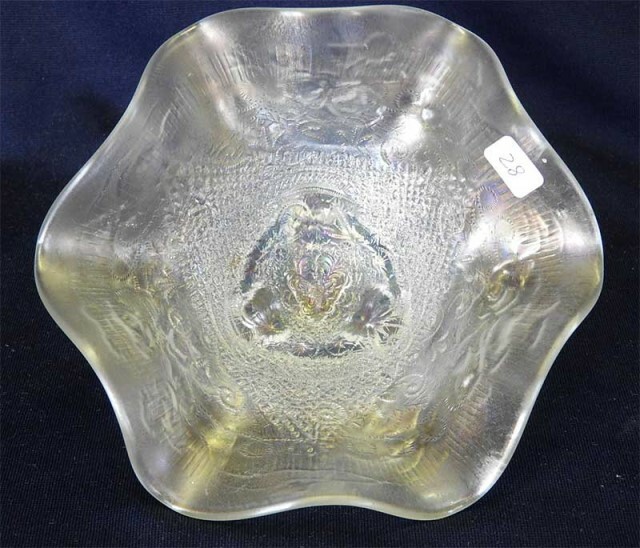 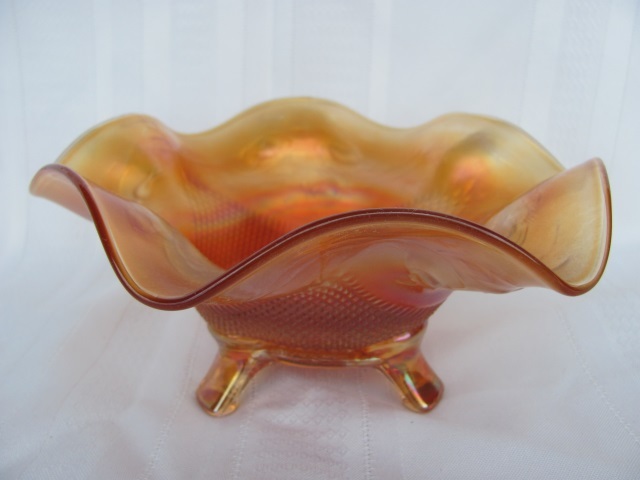 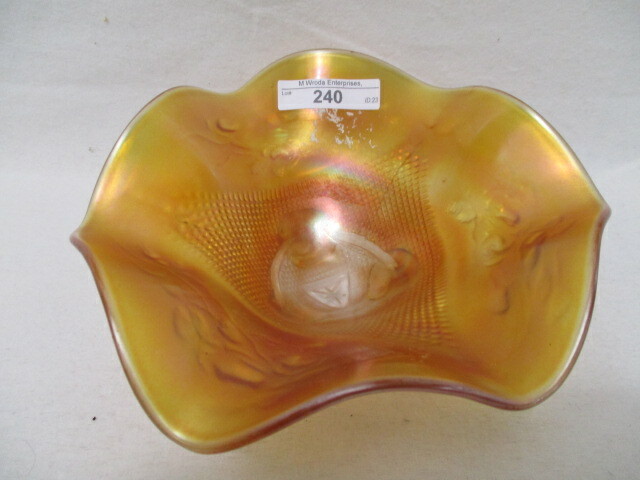 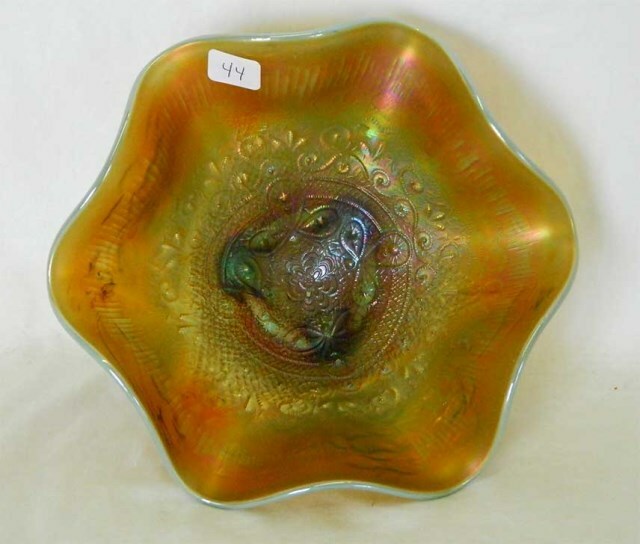 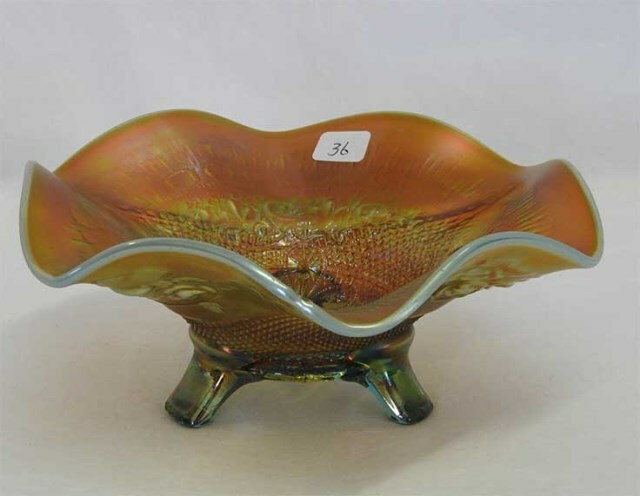 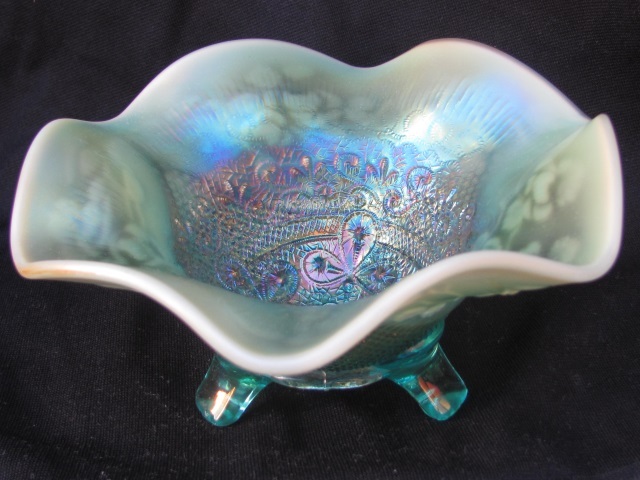 Both rosebowls and candy dishes can have an interior pattern called Fancy, shown in the candy dish above. 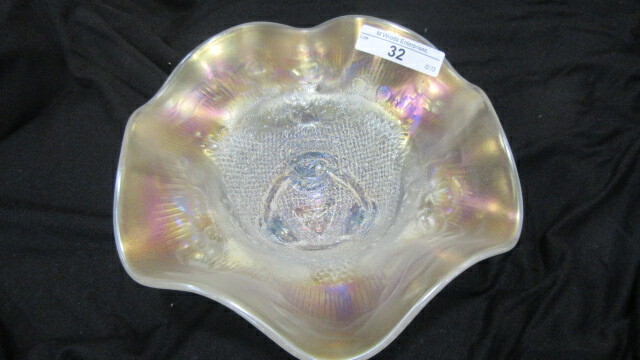 In all items, the feet are susceptible to damage. 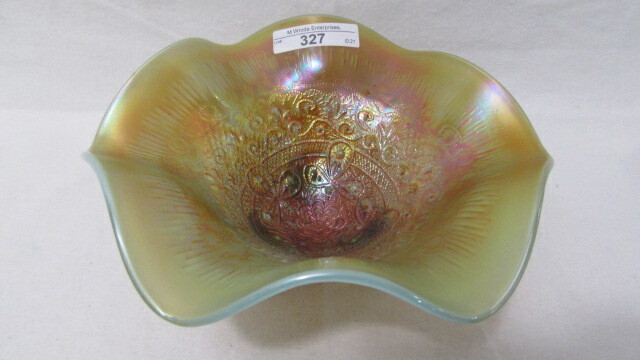 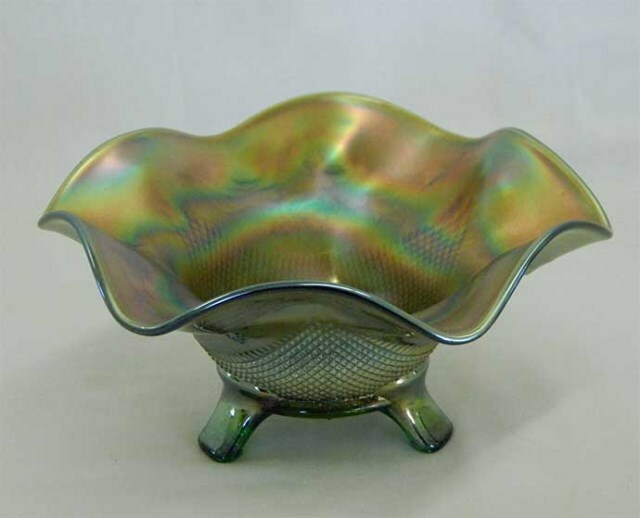 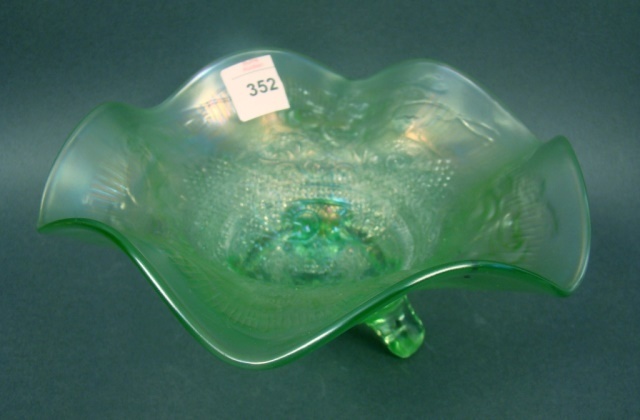 Fenton made a similar contemporary rosebowl with grapes instead of roses. 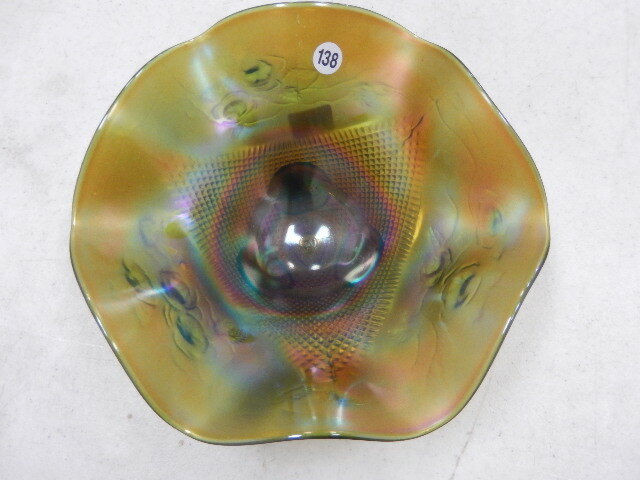 This unusual Fine Cut and Roses rosebowl has been whimsied with a round top. 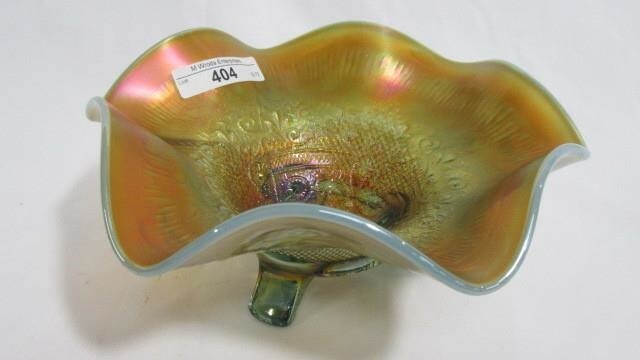 Almost looks like it was intended to have a lid. 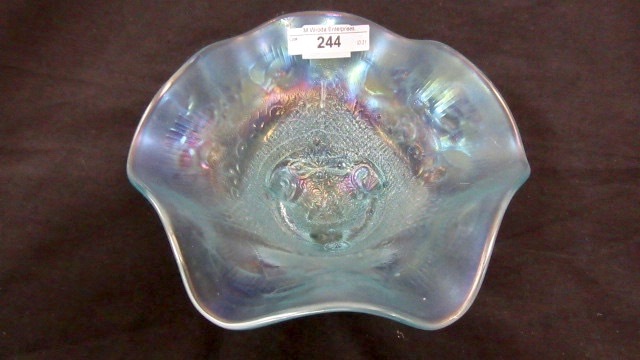 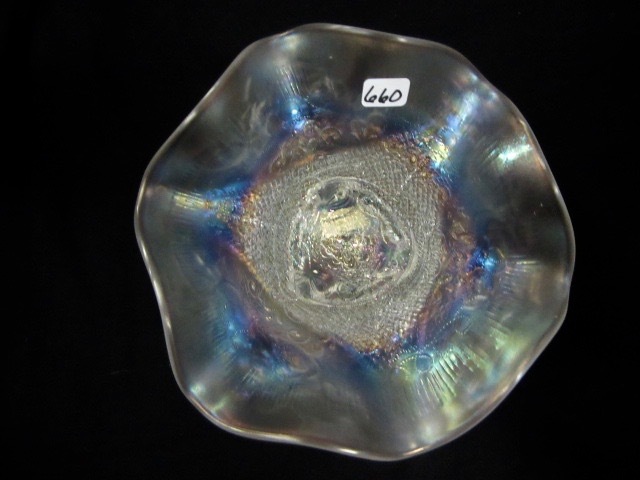 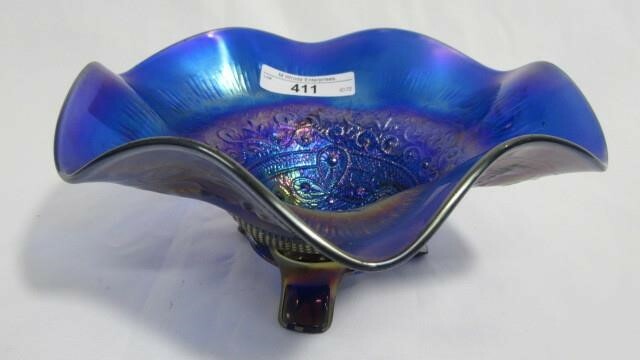 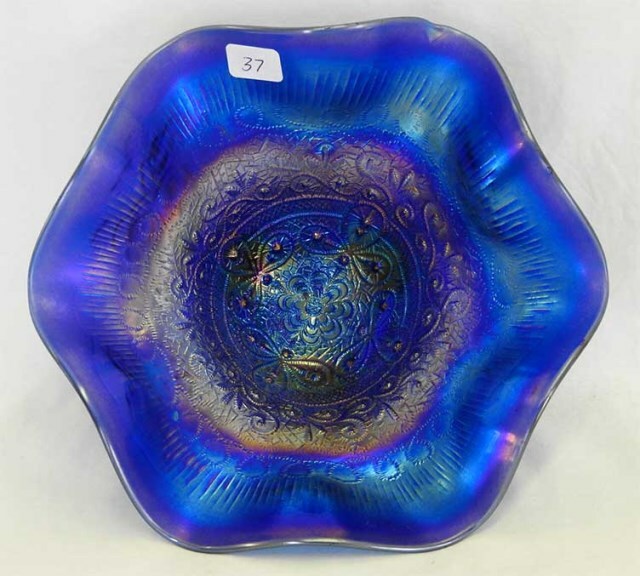 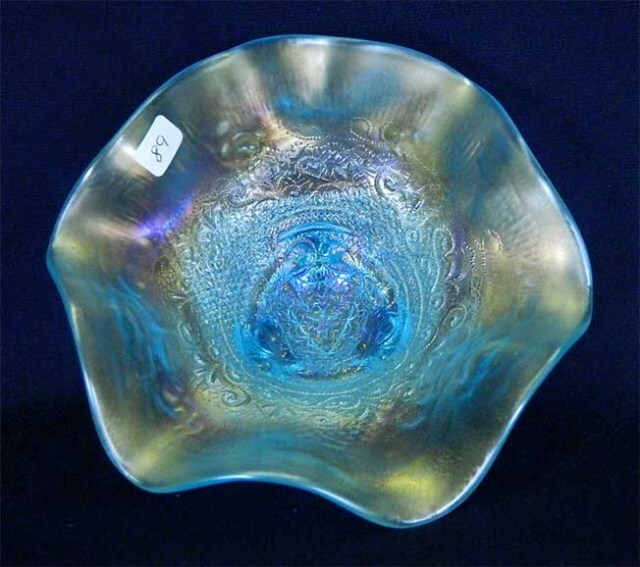 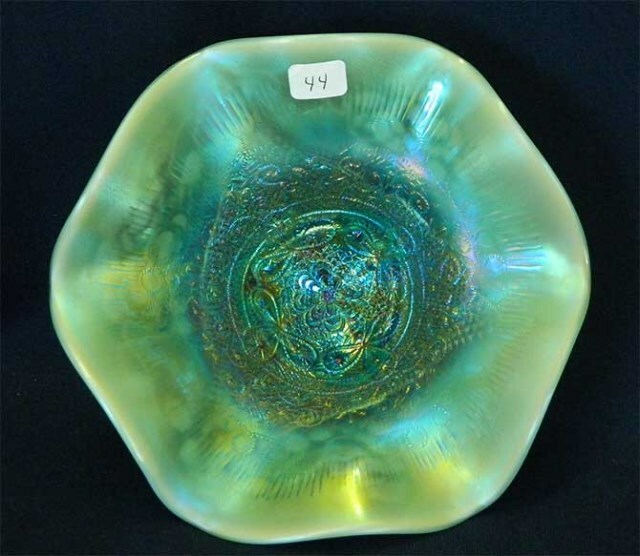 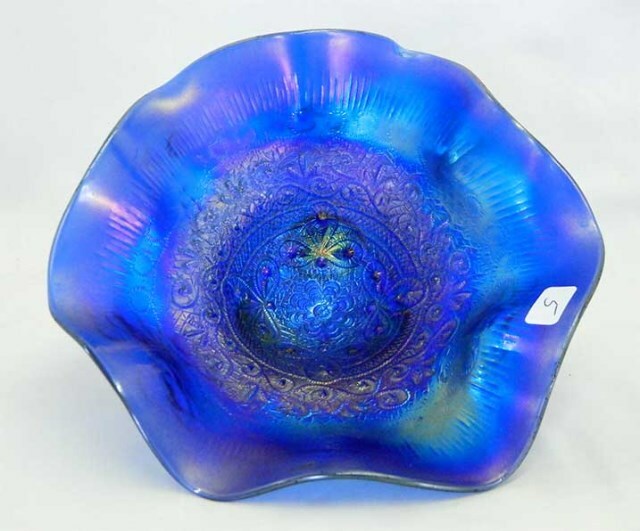 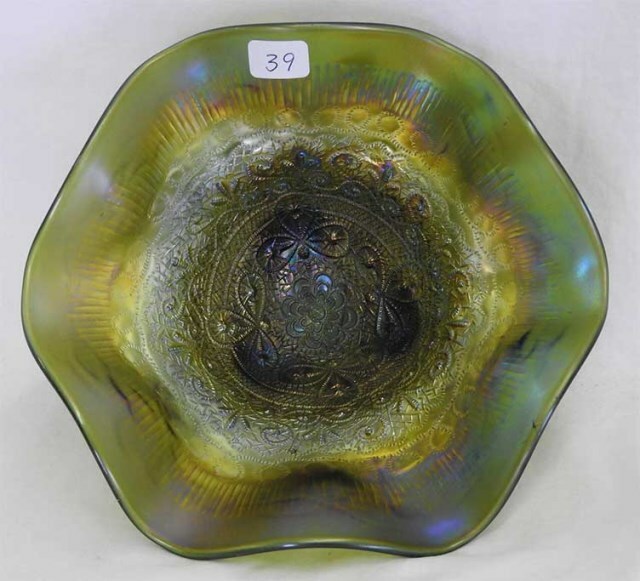 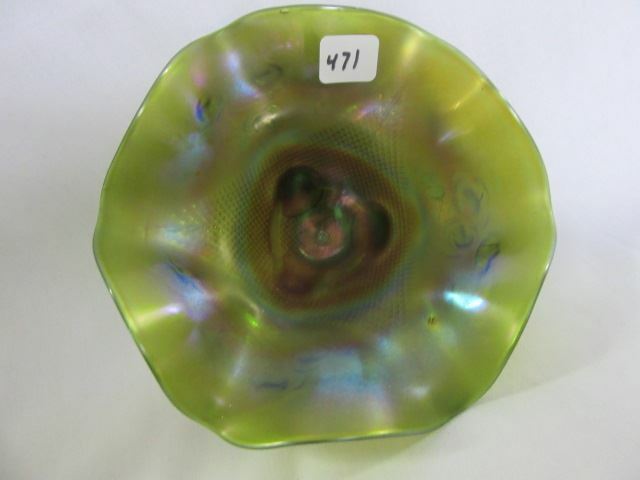 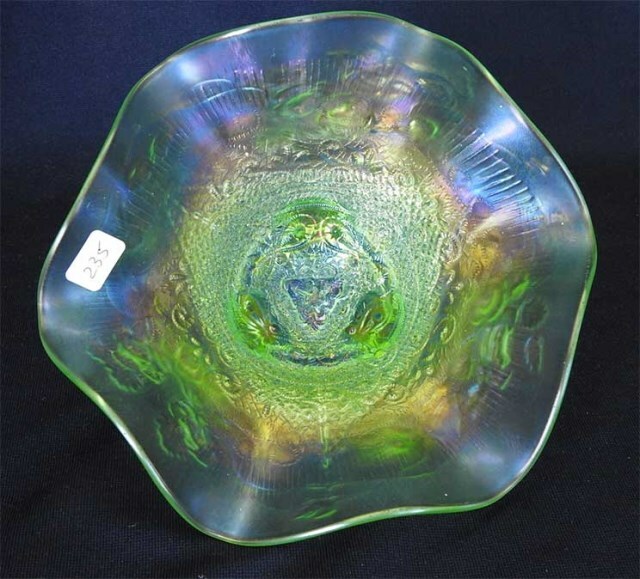 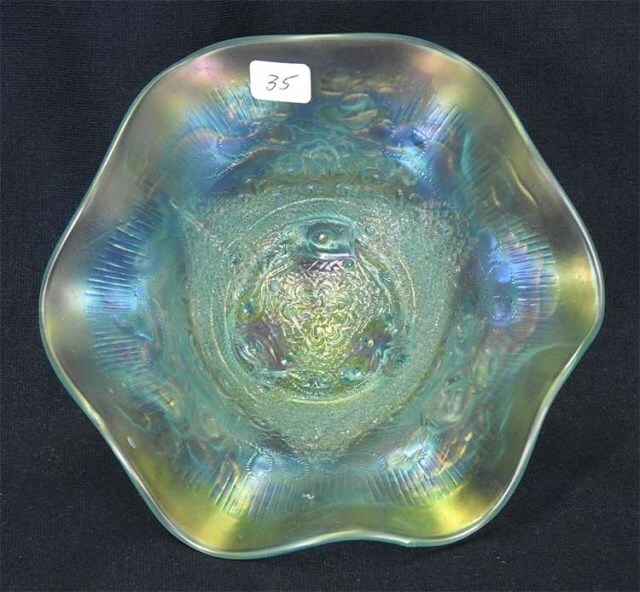 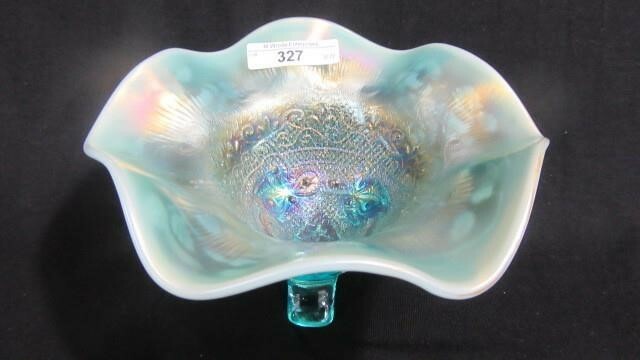 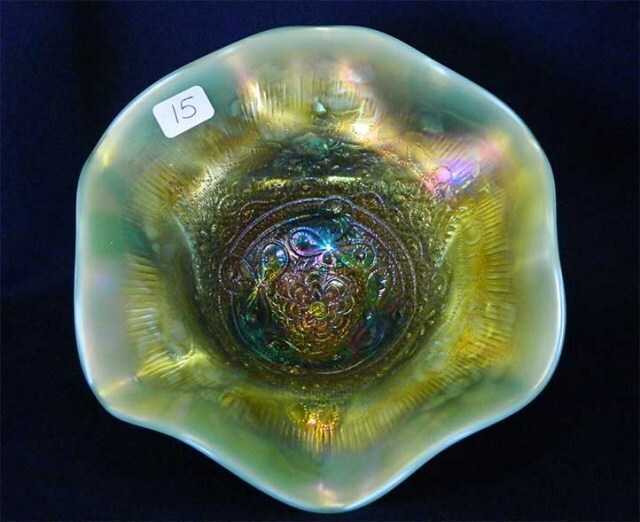 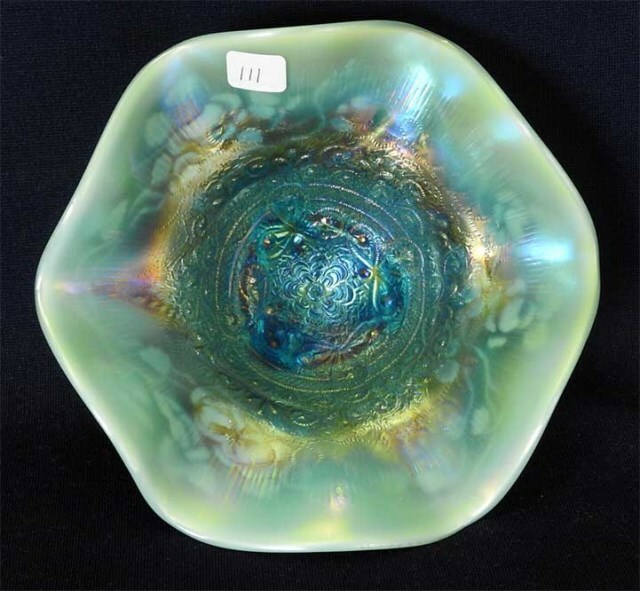 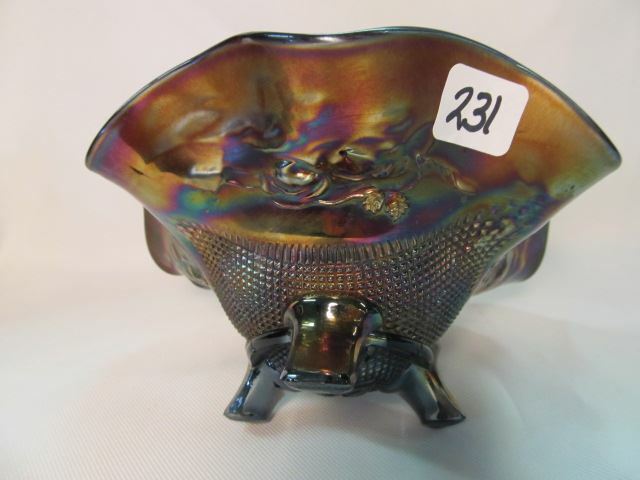 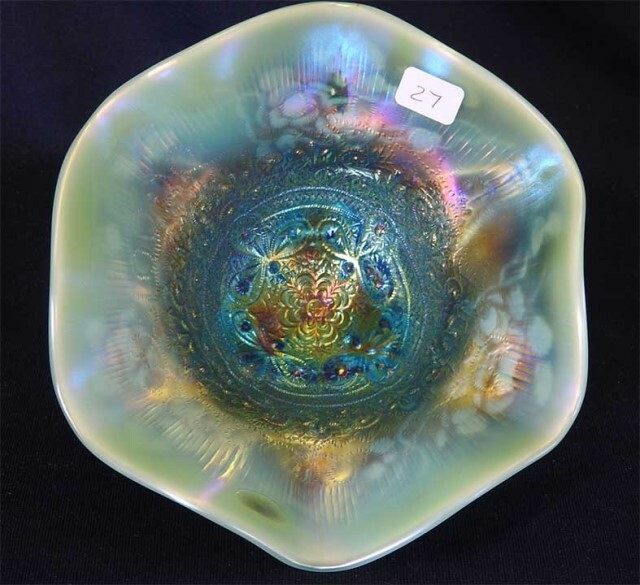 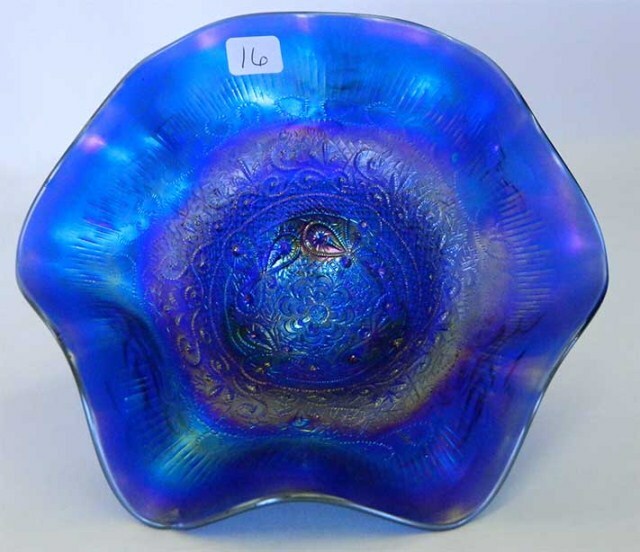 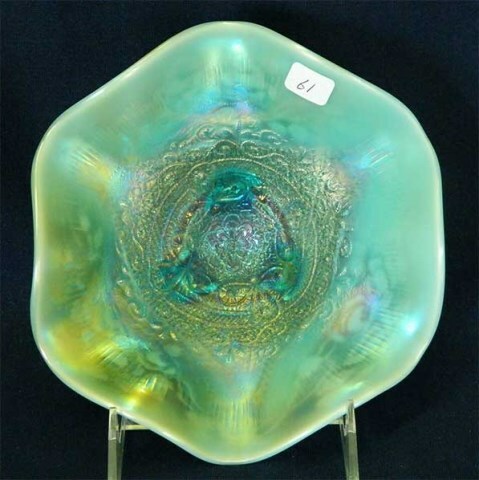 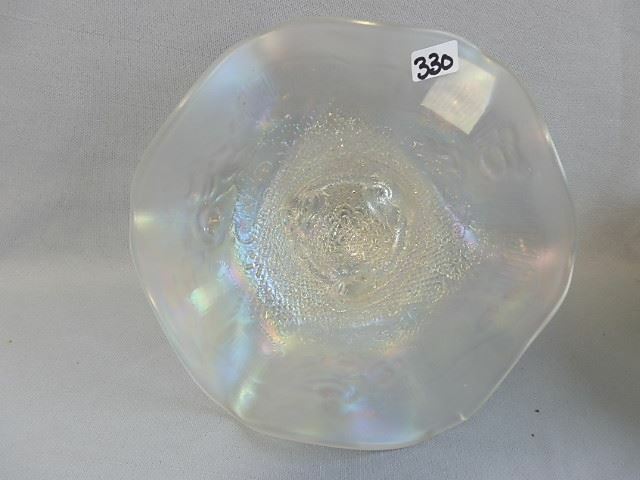 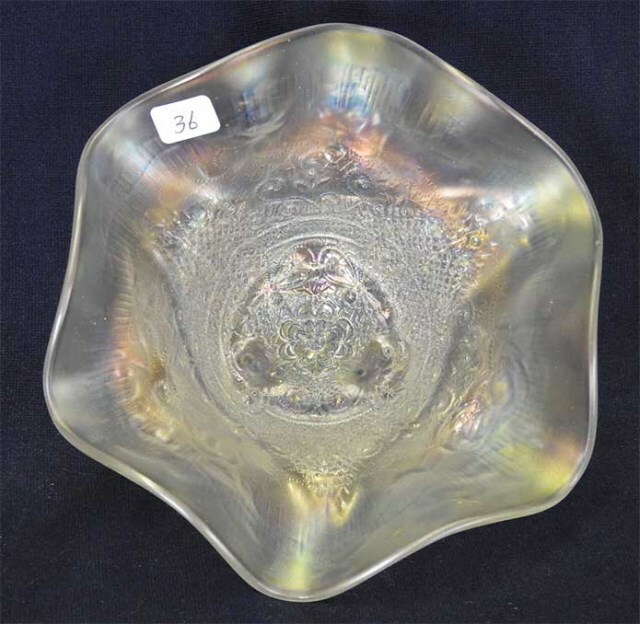 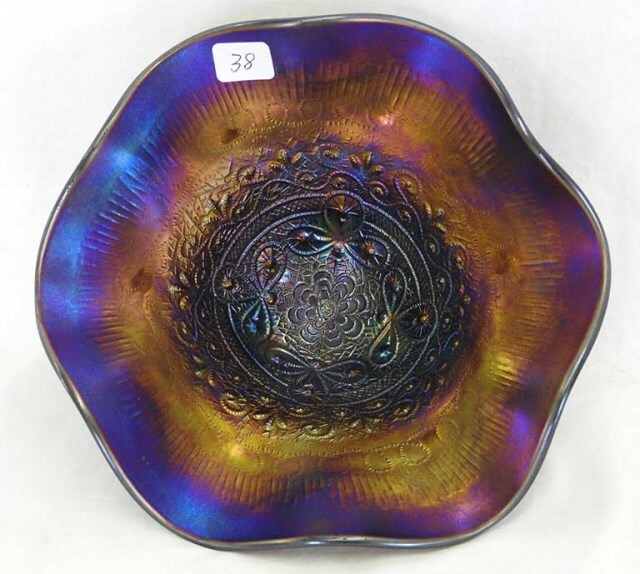 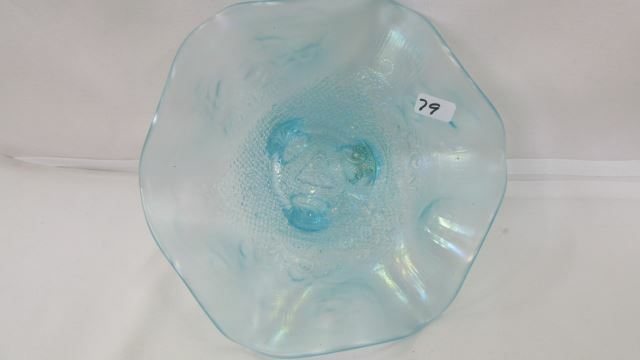 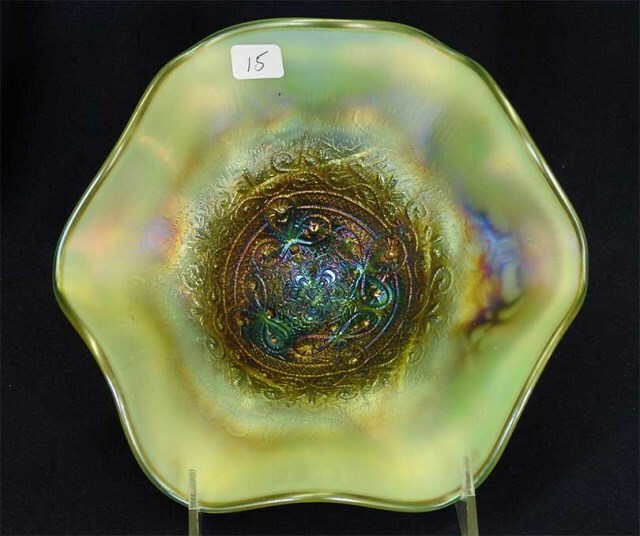 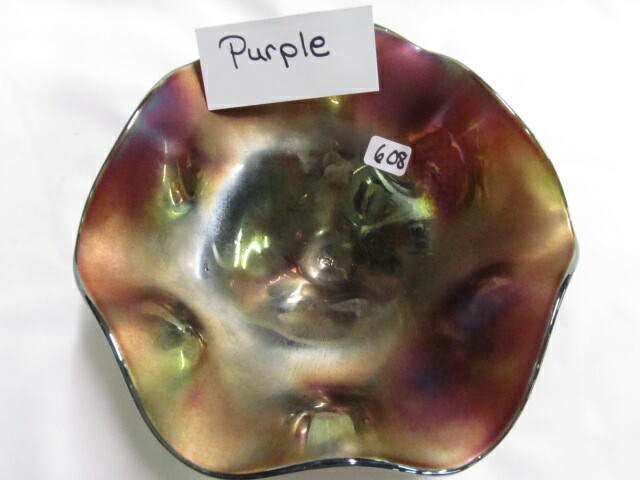 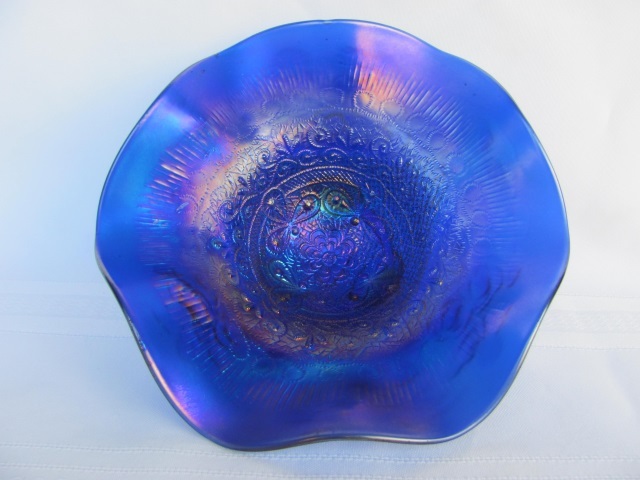 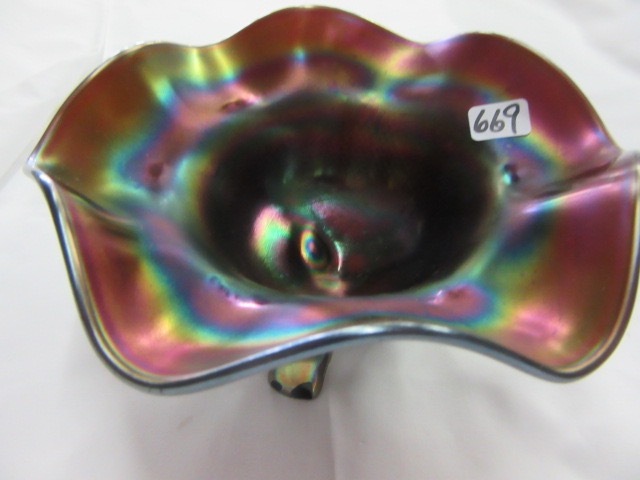 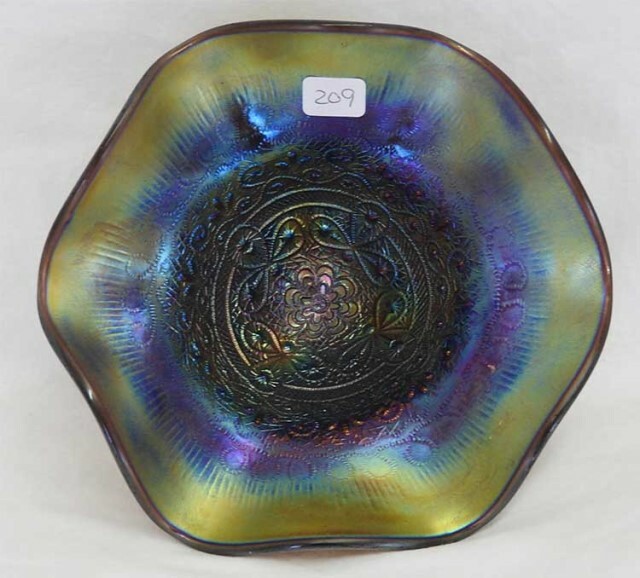 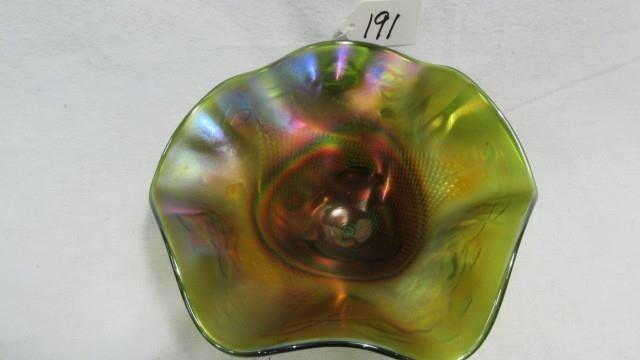 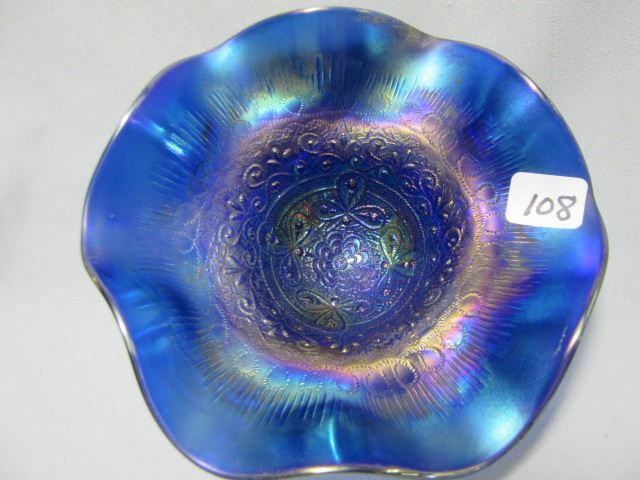 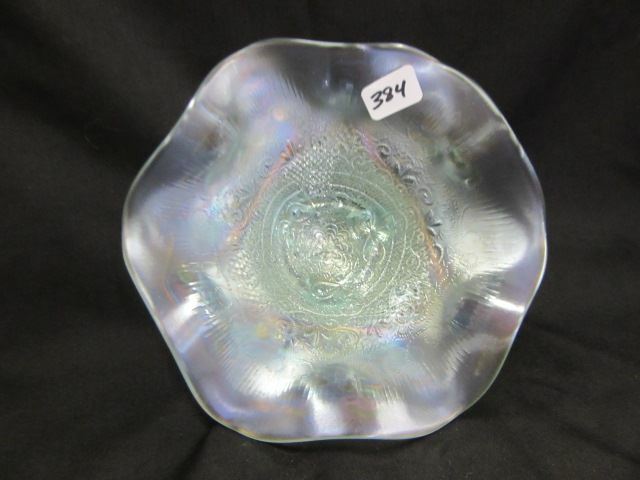 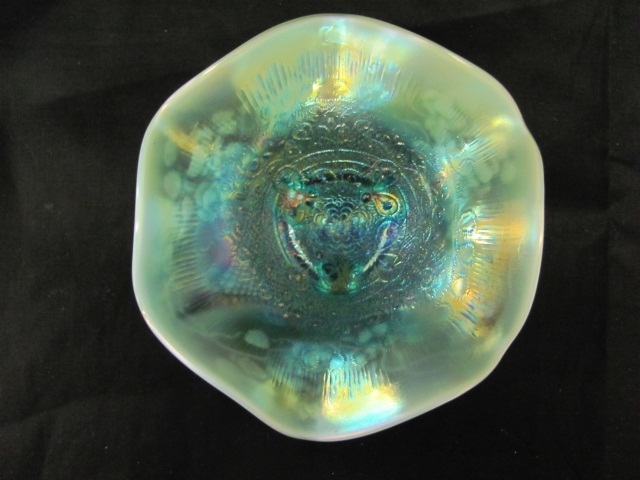 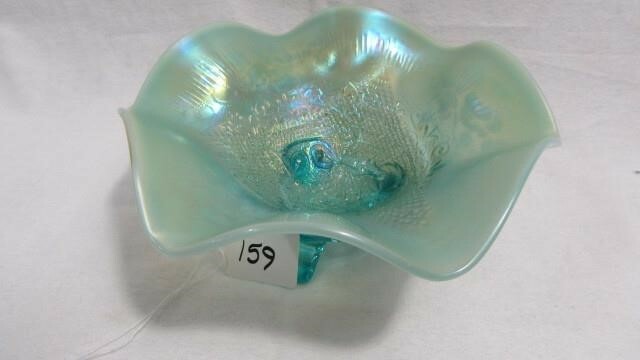 When it sold at the 2014 American Carnival Glass Association convention auction, it was listed as violet blue and sold for $850.